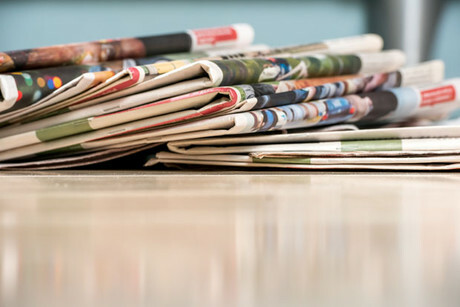 UK readers of national newspapers spend substantially more time with print publications than they do with their digital counterparts, new research has found. The report, Newspaper consumption in the mobile age: Reassessing multi-platform performance and market share using ‘time-spent’, shows that 89 per cent of the time audiences spend with national newspapers, including the Guardian and The Telegraph, is still in print, compared to 7 per cent on mobile devices and 4 per cent on desktop. By analysing data from 11 UK newspaper publishers on comScore and the UK National Readership Survey (NRS), Neil Thurman, professor at City University of London and LMU University of Munich, found that print newspapers are read for an average of 40 minutes per day, but online visitors spend an average of just 30 seconds per day with the digital editions of the same titles. "Looking at reach or number of readers, online looks a lot more impressive because we're used to seeing unique users reported per month, while print circulation is reported daily," he told Journalism.co.uk. "But if you're just looking at the reach, then you are not taking into account the amount of attention people are paying, which you have to focus on as well if you want to understand how valuable print and online are." Thurman explained that the data, taken from April 2015 to March 2016, mirrors the split in newspapers’ print and digital revenues of 88 and 12 per cent respectively, as presented in the recent NMA/Deloitte report. "This research, to some extent, suggests that print is an under-recognised medium in terms of the attention it can attract from audiences. "The print product has characteristics that make it a very effective means of retaining audience attention – the design, the contained experience and the sense of completion when you finish it – but print circulation is declining and online audiences aren't growing at a rate that's enough to make up for these losses. "Maybe some of those characteristics could be adopted online, and that might improve the amount of engagement that online publishers receive."